What would YOU do to show your love for someone? Would you build a castle and gardens out of stone for your beloved? 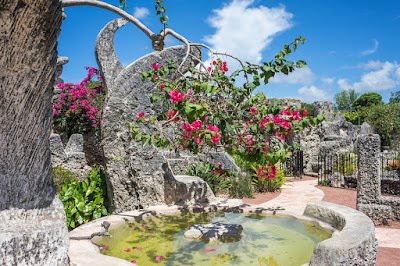 Rumor has it that Coral Castle was built for a woman that Edward Leedskalnin loved but that love wasn't reciprocated (she canceled the wedding one day beforehand!). Others say that it was built to show his determination to build in ways that defied gravity. Who really knows, but what we do know is that what he built is an amazing accomplishment. Oh, and did I mention Ed was a tad bit over 5 feet tall and weighed in at a mere 100 pounds! 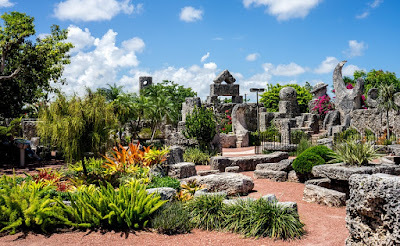 The Coral Castle took 28 years to build, right up to the death of the builder. Visit Coral Castle in Miami, FL to see what love can drive a man to build. Coral Castle opens at 8 a.m. daily for visitors. Admission fees are Adults: $12 each, Children ages 7-12: $7 each and children under the age of 6 are free. 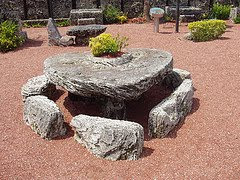 As you tour the Coral Castle, you can listen to important facts and information via audio stands. The narration is available in English, Spanish, French or German. 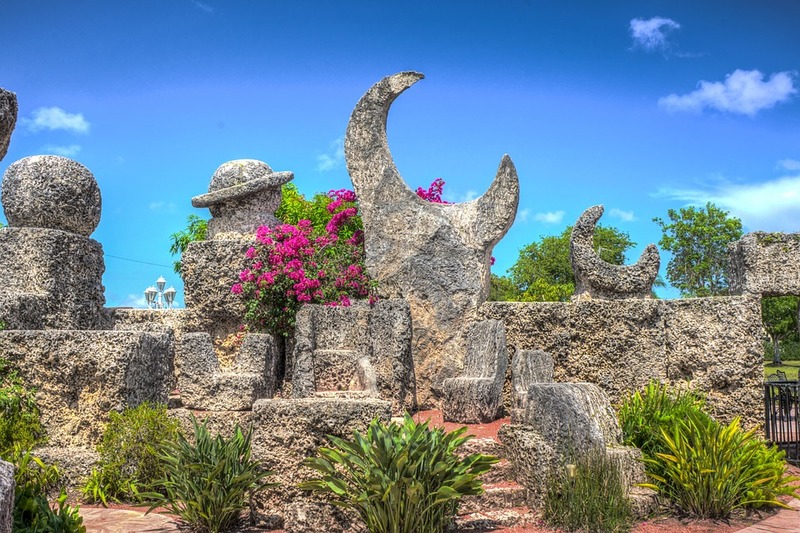 There are also knowledgeable tour guides present to conduct a more in-depth and personal tour of Coral Castle. From 1923 to 1951, Edward Leedskalnin carved over 1,100 tons of coral all by himself with home made tools to create this wondrous creation. There is a 9 ton stone gate that is easily moved with the mere touch of a finger, stone rocking chairs, a stone bathtub, a heart shaped table and other intricate pieces that will boggle your mind. Expect to spend at least 2-3 hours there (if not more) being amazed by the unusual accomplishments. It truly is fascinating.